Excellent option to see leopard and cheetah in particular - and tracking wild cheetah on foot is an unforgettable experience! 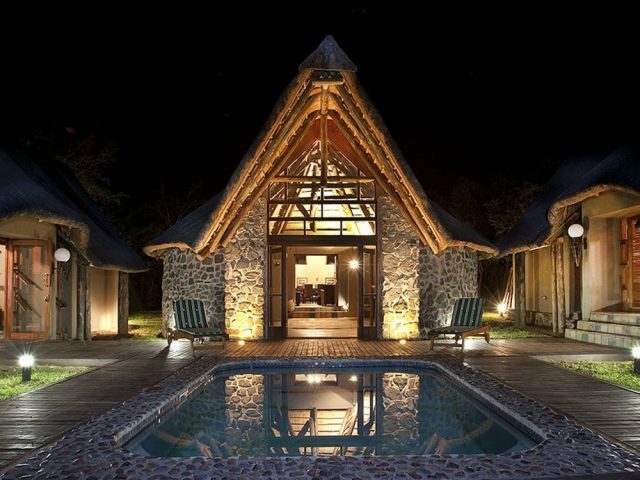 Very attractive lounge area under thatch also boasts a gorgeous feature stone fireplace – the perfect place to cozy up on a chilly winter’s evening with a good glass of red! 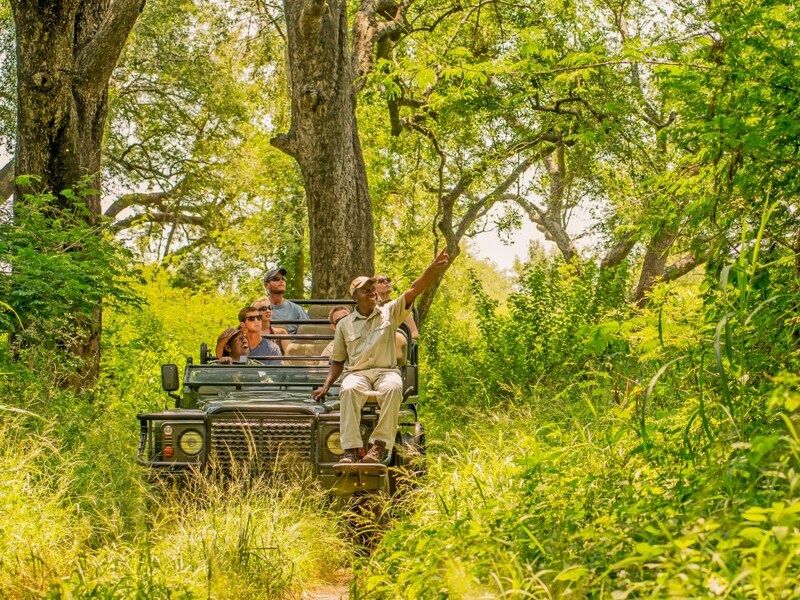 Karongwe provides arguably better game viewing and definitely more pretty scenery than many of the better known private reserves in the lowveld! 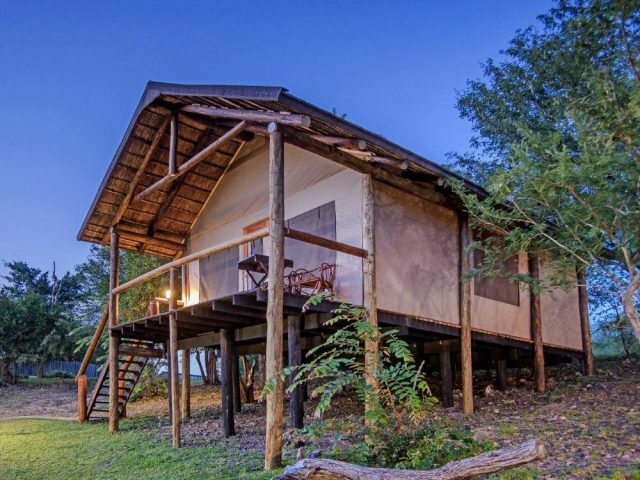 Located in the central lowveld region of the Limpopo Province lies Karongwe River Lodge, one of 4 lodges situated within the Karongwe Reserve. 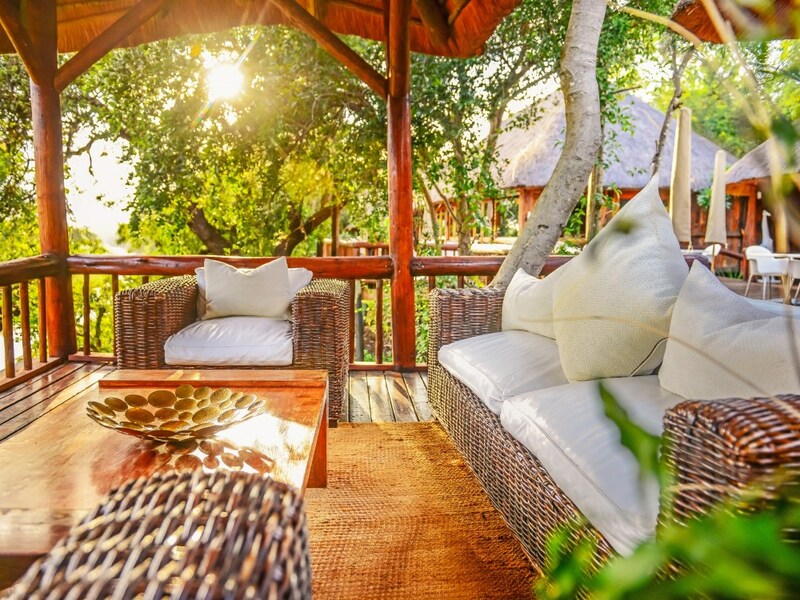 It might not yet be one of the better known of the lowveld’s private reserves, but Karongwe is a 9 000 hectare piece of bush paradise that is a fantastic option for a high quality, value for money bush escape! Karongwe lies the furthest east of the major private lowveld reserves which has 2 major benefits: firstly this makes it closer for travellers driving through by car from Gauteng; but perhaps more importantly this means that the reserve lies almost in the shadow of the escarpment that dominates the western border of the lowveld – the result is that there is the constant backdrop of the majestic Drakensberg mountains to the west providing stunning views. 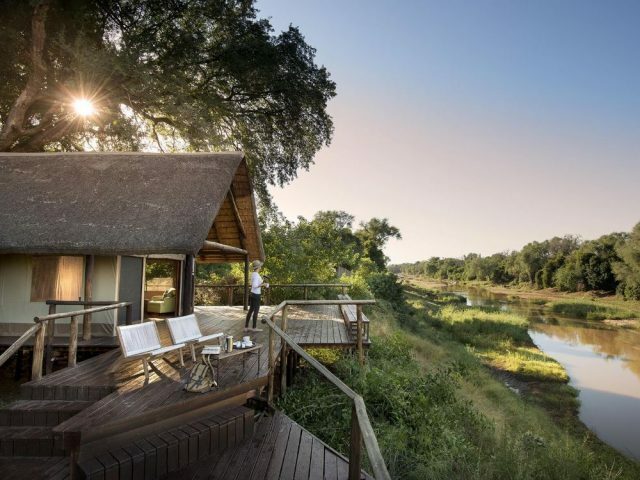 Then you can add in the fact that the reserve has 4 rivers running through it including the perennial Makutswi River, which enhances the game carrying capacity of the land as well as providing stunning riverine vegetation. The result, dare we say it, is that Karongwe provides arguably better game viewing and definitely more pretty scenery than many of the better known private reserves in the lowveld! The land that is now Karongwe has been though many uses over the years - from hunting and exploring in the 19th century to the discovery of gold, where mining activities had dire consequences to the once abundant wildlife, as miners and labourers hunted and snared game for both sport and food! In fact this area is locally referred to as the Harmony Block after the mining company and is littered with hundreds of abandoned mines! Fortunately, the gold ran out fairly quickly and a few brave souls then attempted to farm the area, but due to various reasons such as tsetse flies, until the late 1940's, this region was not suited to permanent agricultural activities. In 1998 farmers decided to make a difference and drop fences between farms and the Karongwe Private Game Reserve was established. Their objectives were to rehabilitate the land, reintroduce the indigenous species and generally bring the area as close as possible back to its former splendour. With the Karongwe Association (founded in 2001) animals are protected, jobs created for local people and lodges developed for the enjoyment of tourists. The main lodge also boasts one of the best views of any game lodge we've stayed at with enchanting views over the Makhutswi River - here you can enjoy the spacious lounge, library and bar areas which lead onto a vast deck, where you can chill in hammock chairs and enjoy for endless opportunities to view grazing antelope or bigger game like hippo or elephant. Between game drives in the heat of the day, this is the perfect spot to spend the afternoon relaxing while enjoying an ice cold drink, or alternatively head to the pool which in turn overlooks a dam where loads of animals form a near constant procession (or take a peek around the curio shop if you can’t escape the lure of retail therapy!) Meals are enjoy in the dining room, on the open-air deck or alternatively, under the stars in a rustic outside boma around a blazing fire – ultimately it all adds up to a truly atmospheric bush experience!